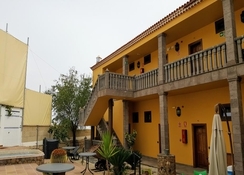 Hotel El Tejar is a comfortable and relaxing accommodation located in Vilaflor, on the island of Tenerife, just 24km from Playa de las Américas and 22km from Tenerife South Airport. It has an exquisite restaurant that combines international cuisine with local recipes, as well as a spa equipped with Jacuzzi, whirlpool, sauna and swimming pool. Its rooms are cosy, up-to-date and yet evoke the island’s tradition. They enjoy full bathrooms equipped with a bathtub, hair dryer and complimentary toiletries. All rooms at the hotel feature spectacular views of the surroundings, including beautiful pine forests, paths and attractive routes. The rooms include air conditioning, satellite television and, in some cases, living area. Among common facilities there is Wi-Fi connection, shuttle service, cleaning of bedrooms, shops and a 24-hour reception. 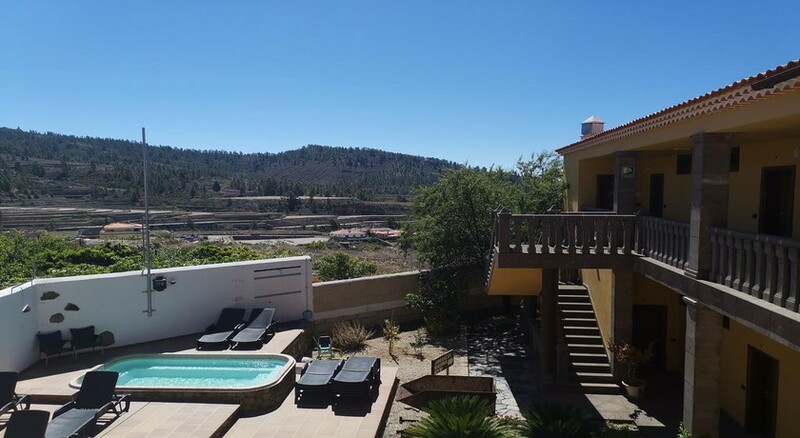 The barbecue, the garden, the terrace and the baggage storage are some of the additional features available at this spa hotel, which also offers children an indoor playground, music, books, DVD and varied puzzles. 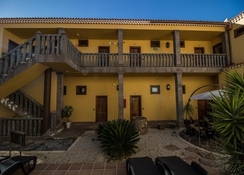 Hotel El Tejar is located on the beautiful island of Tenerife, specifically in Vilaflor, a beautiful town that is located half an hour from Playa de las Americas (24km). The attractive town of Santa Cruz de Tenerife is 84km, while the Teide National Park is only 15km. The Tenerife South airport is about 22km from the property. Guests can choose between double deluxe and standard double rooms. 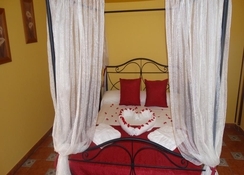 Both rooms can accommodate up to a maximum number of two individuals. The rooms come with a flat screen TV, fridge, safe, fully functioning bathroom with hairdryer, and beautiful views of the sea and the mountains. The in-house restaurant offers continental breakfast. Lunch and dinner are also available with an extensive menu of international and Canarian cuisine. 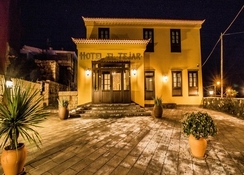 Guests at Hotel El Tejar can enjoy Jacuzzi, sauna, gym and a spacious terrace. The island is much more than just beaches, you have to get inward to discover that islands authentic and even unusual roots. A clear example is the town of Adeje, with its traditional architecture, its cultivated terraces and the path of Barranco del Infierno, one of the busiest on the island. It is a preview of what you are going to find along the route, in which other large colonial ensembles such as Vilaflor, Granadilla de Abona or Güímar occur, as well as impressive natural landscapes such as The Lunar Landscape (access on foot from a land near Vilaflor) or the imposing Malpaís de Güímar, a place of volcanic origin next to the sea are about to be explored. Hiking excursions are organised by the hotel.